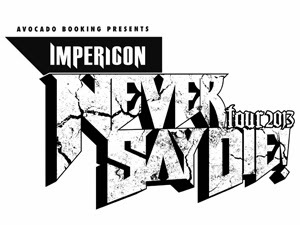 We caught up with some of the bands taking part on the Impericon Never Say Die! Tour 2013. Australian five-piece Hand of Mercy is first up. Heya guys. How’s the tour been going so far? DAWSON [bass]- It’s been sick. JOSH [guitar]- The crowds every night have been huge. We’re playing first, but all the crowds have been incredible. Yeah, I was going to ask you about being the first act on? Is it nerve-wracking? There’s a mix of bands on the tour- has it been fun? Did you know them before? JOSH- We’re really good friends with Northlane; they’re from Sydney as well so we’ve known them for years and I Killed The Prom Queen too. 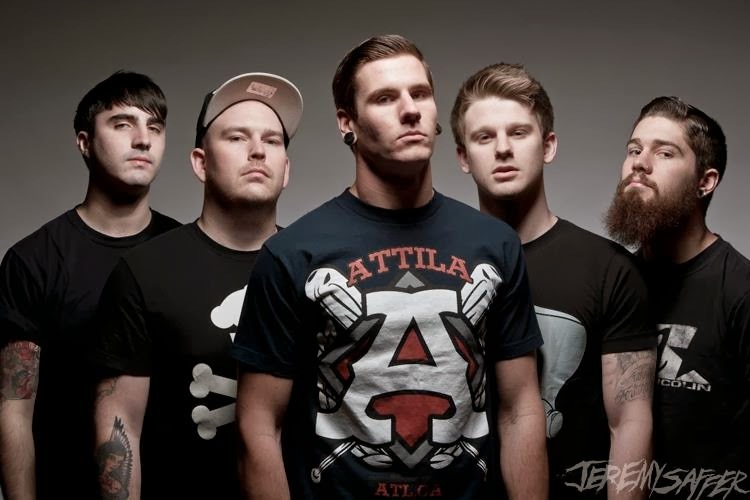 Back when we started they were one of our main influences so it’s cool being on tour with them. We just did a tour with Emmure too and we’ve seen Carnifex a few times. 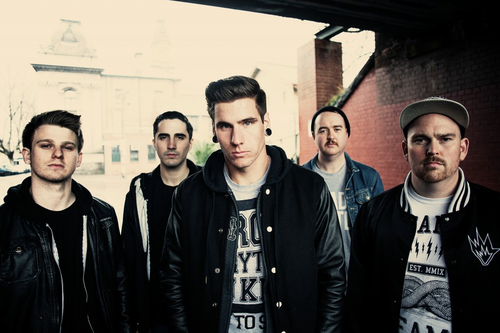 DAWSON- It’s been cool that we’re pretty familiar with all the bands. Some people will have seen you and others won’t – do you like that challenge of winning new fans? DAWSON- Yeah, for me I love that challenge. And because we got added at the last minute I guess we have to prove our worth and I like doing that. JOSH- Yeah, I think we learnt that a bit from bands that we looked up to. DAWSON- Yeah, Parkway Drive is a big thing for other Australian bands as they paved the way for international touring and stuff. I think we learnt from an early age as a band that you can try to get other people to do it, but it’s always best to do it yourself because you know it’s getting done then. It’s a brave move but do you feel it stands you in good stead? DAWSON- Yeah, completely. And also when you do it yourself to begin with and then get help, if that gets taken away from us we’re not going to be f****d because we know how to do everything. It’s reassuring. You recorded your second album in Boston and you signed with a label- did that take the pressure off the DIY approach or was it hard not being so much in control? JOSH- Well the cool thing was that the record was pretty much all recorded so we got to say “this is what we’ve done, do you want to do it?” and they picked it up. So we didn’t have to compromise. Once you get signed that’s when you have to start working even harder. If you’re just going to rely on the label then you’re f****d [laughing]. JOSH- I don’t know what happened but now more kids are coming to shows, which is cool, and they see bands that they’ve grown up with going overseas. So now they think “Yeah, I’ll check them out when they’re back over”. I think the one thing that Australian bands have in common is the attitude where they have the passion to get out there and see the world and share the music. JOSH- The new record has had a lot more attention than ever before, this time we’ve learnt from our past experiences. DAWSON- It’s a cool thing; because we know people are listening to us now so it’s the time to show them something really good.